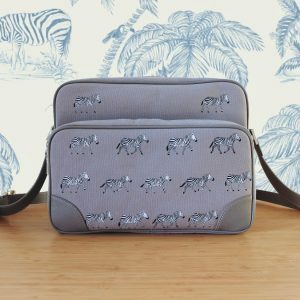 The small Zebra Bag Number 8. 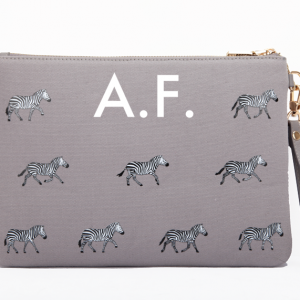 You can be personalize it with your own hand-painted initials and make it your very own. 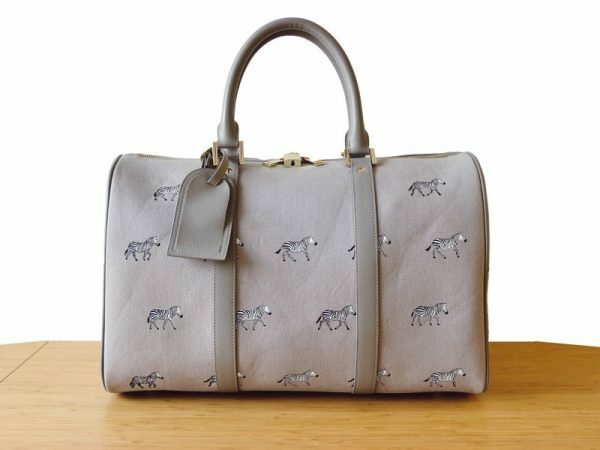 Our Zebra Duffle Bag is a leather-trimmed canvas bag featuring a pack of intrepid zebras. 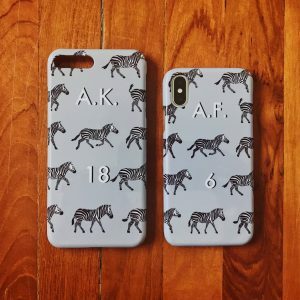 At first glance, zebras in a herd might all look alike, but their stripe patterns are as distinctive as fingerprints are in man. In our bag, each zebra is individually printed on the grey canvas and they are all different! 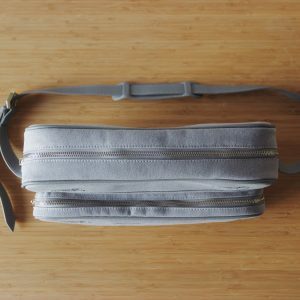 The Zebra Bag Number 8 adheres to carry-on luggage restrictions of most worldwide airlines. 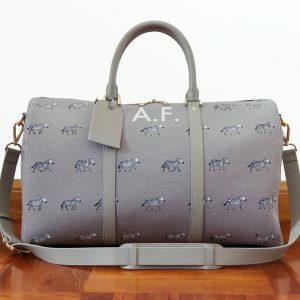 The Zebra Bag n. 8 is ready to ship in 24h from the order. 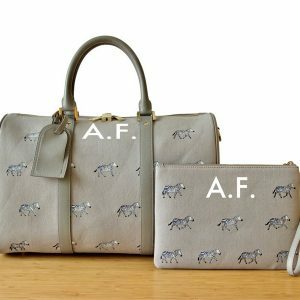 However, the monogrammed travel bags take up to 2 weeks more to ship as they require our Master Painters to customize the bag according to your specifications and we strive for perfection with each and every order we receive.